Got out early for the 40 mile ride through smaller rolling hills. 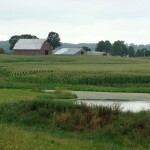 Same Ag land with lots of corn and soy beans. Clouds have gathered and it was much cooler. Stopped for a cold drinks and talked with Emil, a guy originally from Croatia who lived in Seattle and retired form Boeing. He lives in Missouri now. 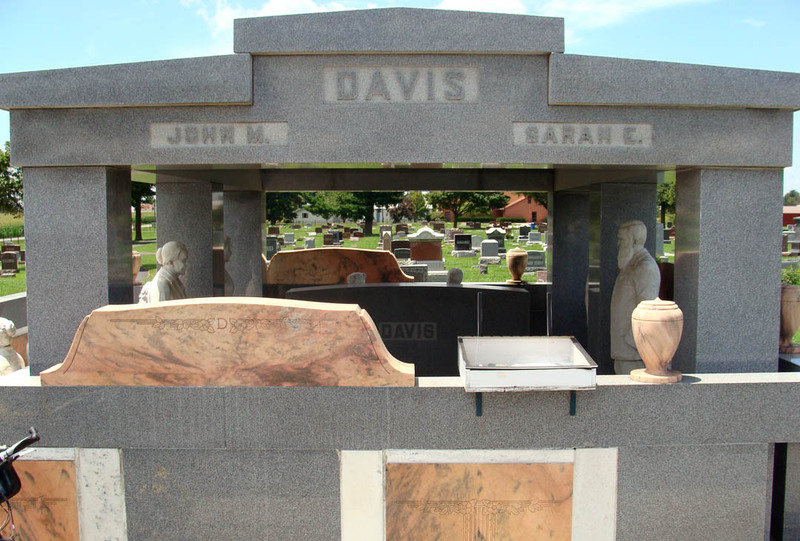 Tried and liked MacDonald’s Chicken Salad for lunch in Hiawatha then cycled out to the Cemetery to visit the famous Davis Monument. 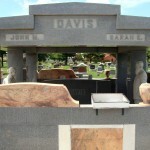 Interesting story of John Davis. 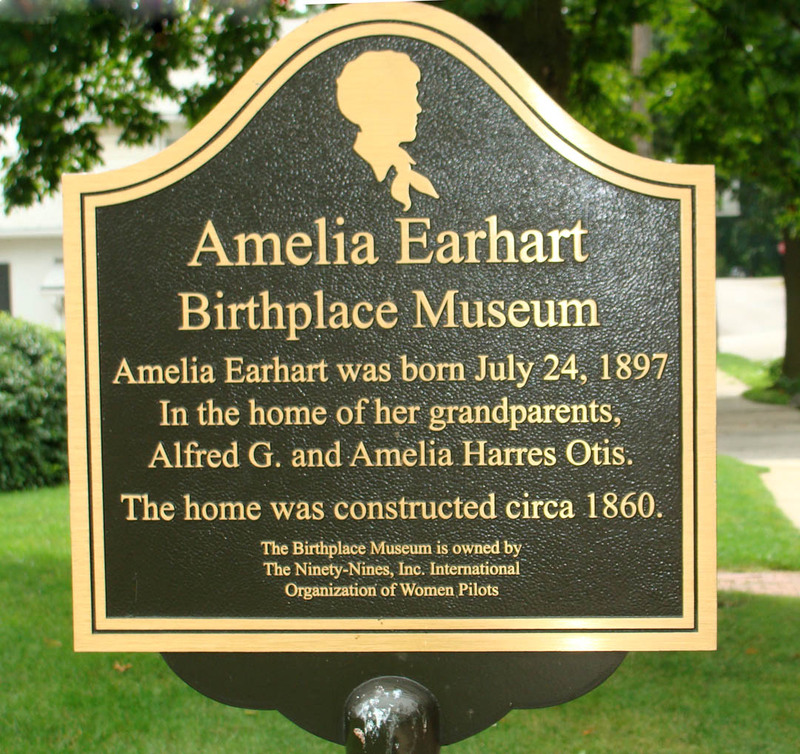 He came to Hiawatha in 1879 as an orphan and went to work for the Hart Family. 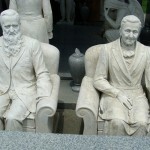 They were outraged when their daughter Sarah Elizabeth married John. 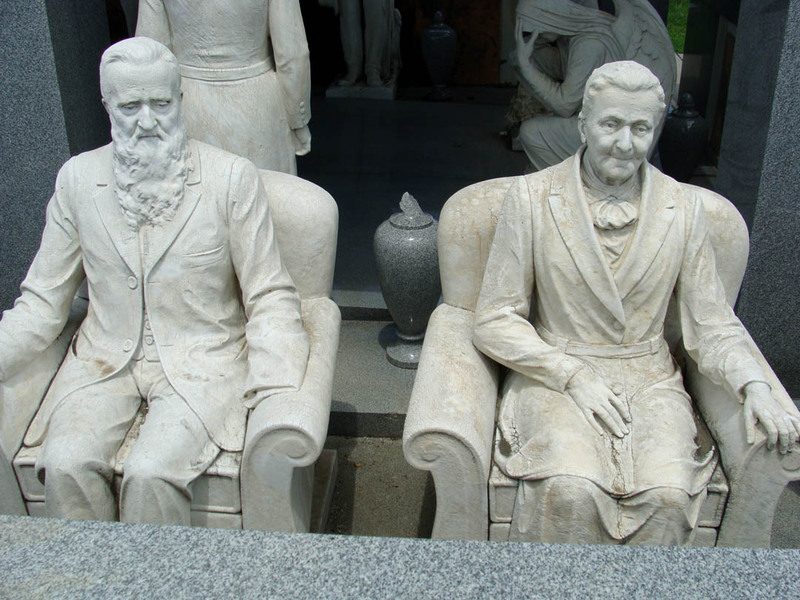 They disinheritied them. 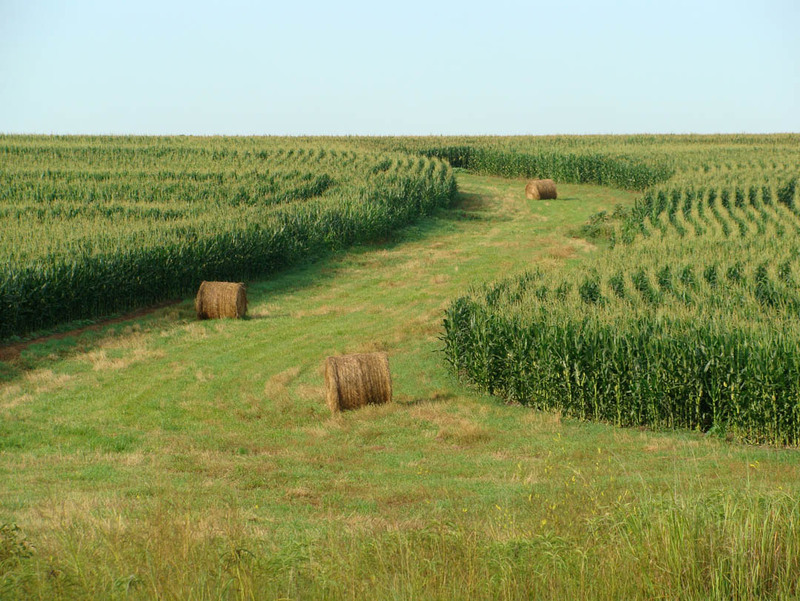 The family was further incensed when after working hard John bought the two best quarters sections of land in the county. and became extremely wealthy. Sarah died at age 70, John had no heirs and wouldn’t leave his money to her family. So, he began building the monument. People in Hiawatha were incensed, when they asked him to build a swimming pool or community center and he refused. Reporter Ernie Pyle interviewed John Davis in the late 1930s. 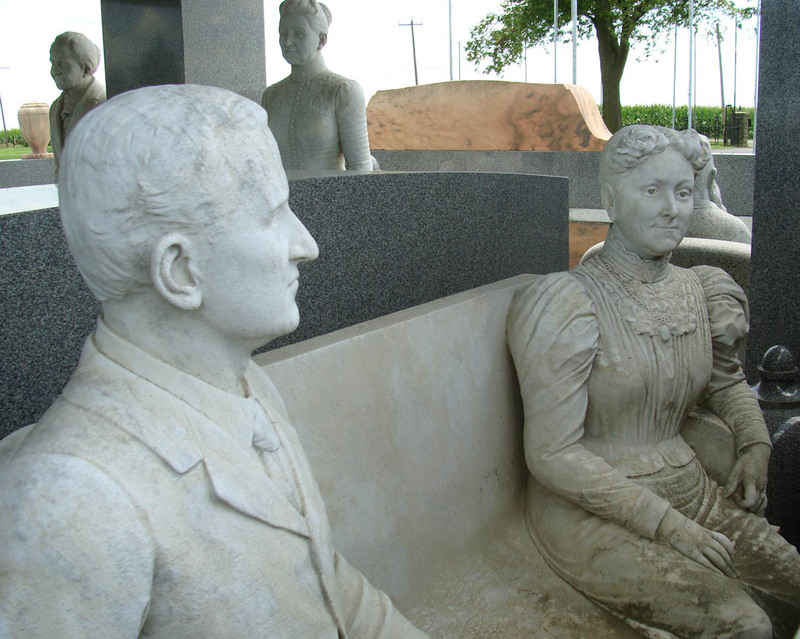 He said, “The people here hate me but it was my money and I spent it the way I pleased.” The monument has become the biggest tourist attraction in Hiawatha. 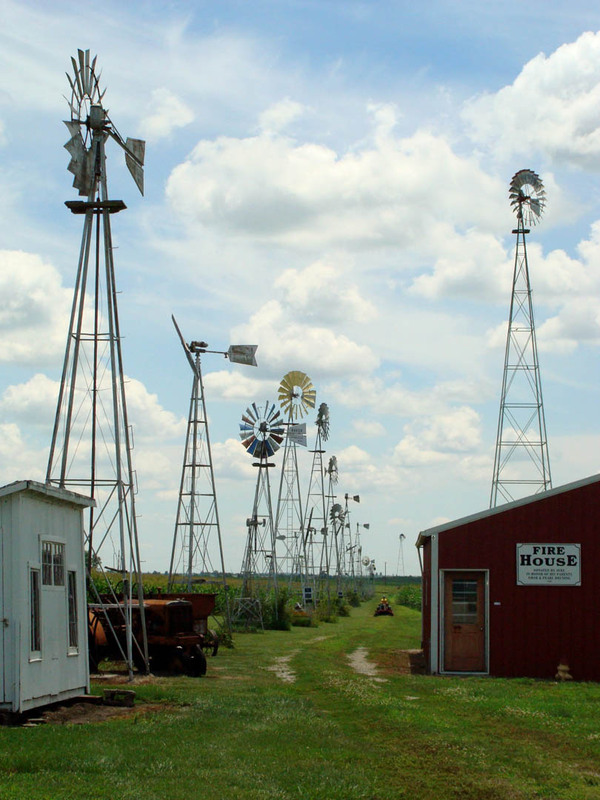 There is another attraction just across the road from the cemetery, an Agricultural Museum. 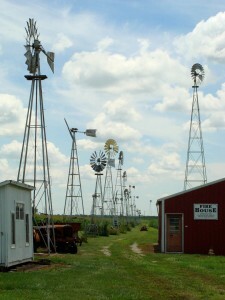 The buildings were closed but we did enjoy a wonderful windmill display. These once water workhorses are now relgated to scrap heaps, replaced like horses with horse power. Cat had read of a Trolley Tour in Atchison. We got in, got a room then learned that the last tour would depart from the Information Center at 3:00 PM. We took quick showers then sweat again as we hustled to make the tour. The ladies at the Center were great. The Trolley was actually a mini bus. Diane, our driver told us the Trolley was being repaired. We were the only tourist on the bus. Diane is new. She’s a great driver but has to stop and read the sights as we go. 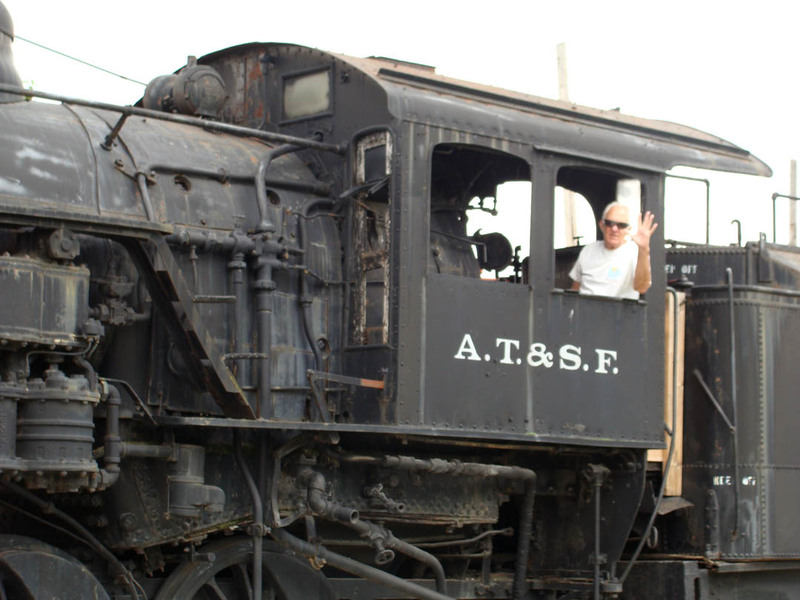 We learned that the big industry of course was the Railroad and other related industries like Iron Works. Most of the sights are just okay. 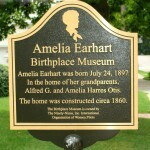 The highpoint is Amelia Earhart’s birthplace. 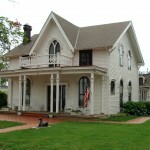 Actually he Grandfather’s home. 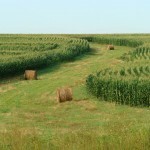 Don’t ever think that the Heartland is Flat! The ride out of Leavenworth was up and up. 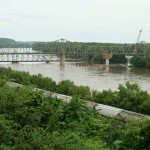 The road was under re-construction, another of the 2010 Reconstruction Act. We rode most of the way inside the cones. 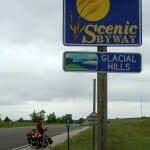 The signs call it the Scenic By Way, Glacial Hills. 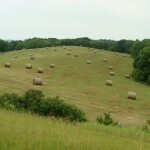 It is hilly and scenic. 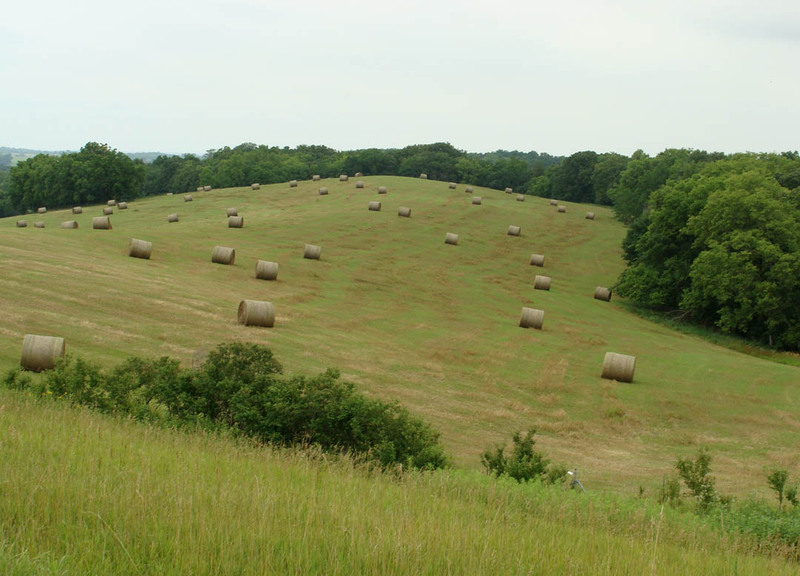 Rolling hills covered with agricultural beauty. No, we didn’t visit the Pen. They say it’s easy to get in to but hard to get out of. We used to have a joke we did when I played Rub Board with our band. Terry would say, “Hey, didn’t you play Rub Board with the Penn State marching Band?” And I’d answer, “No, no, Terry, I said the Sate Pen Marching Band!” Silly but somehow seems appropriate here? 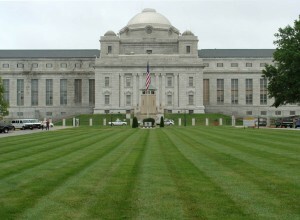 The Federal Penitentiary at Leavenworth has a long history and has house some pretty tough characters. John “Sonny” Franzese- A legendary New York gangster and a high ranking member of the Colombo crime family. 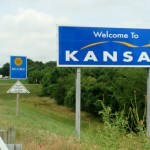 James J. Bulger, Irish-American gangster sent to Leavenworth for hijacking and bank robbing. He was shipped to Leavenworth out of Alcatraz. Fritz Joubert Duquesne – Nazi spy and leader of the Duquesne Spy Ring, the largest convicted espionage case in United States history. George “Machine Gun” Kelly – Depression era gangster. Randy Lanier – 1986 Indy 500 rookie of the year. Michael Vick – NFL quarterback formerly with the Atlanta Falcons, pleaded guilty to operating an unlawful six-year-long interstate dog fighting venture known as “Bad Newz Kennels“. Ricardo Flores Magón– Mexican anarcho-syndicalist intellectual who was in the US during the Mexican Revolution. He became equally at odds with US authorities and eventually died in Leavenworth in 1922, probably dying from long-standing health impairments. Frederick Cook – Famous explorer whose claims to be the first to reach the summit of Mt. McKinley and the North Pole turned out to be fraudulent. In 1922, plead guilty to mail fraud and imprisoned until 1930. Antonio Fernandez aka King Tone – Current Inca of the Latin Kings (gang). Brandon Morris- murderer of Maryland Correctional Officer Jeffery Wroten. 27 Buffalo Soldiers on Bicycles? Thanks to Frank and Sherry, who we would meet later, we learned of how the Buffalo Soldiers were issued Bicycles and rode their Iron Horses to Montana and back as a test. The 25th Infantry U.S. Army Bicycle Corps stationed at Fort Missoula, Montana set out across the country on their bicycles in 1896-7. Lt. James A. Moss led the company of black soldiers on several obstacle intensive test runs of the iron two-wheeled alternative to horses for transportation. Their greatest trip covered 1900 miles to St. Louis, Missouri, returning to Missoula by train. 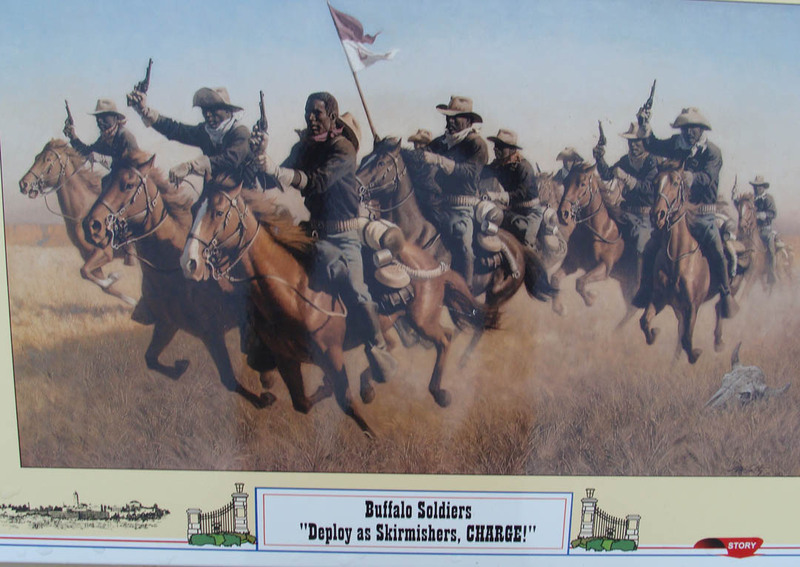 The 25th Infantry gained fame and was nicknamed the Buffalo Soldiers. 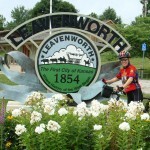 We cycled through town and back out to the Highway for a visit to Fort Leavenworth. It’s an historical Fort established by the US Army in 1827. 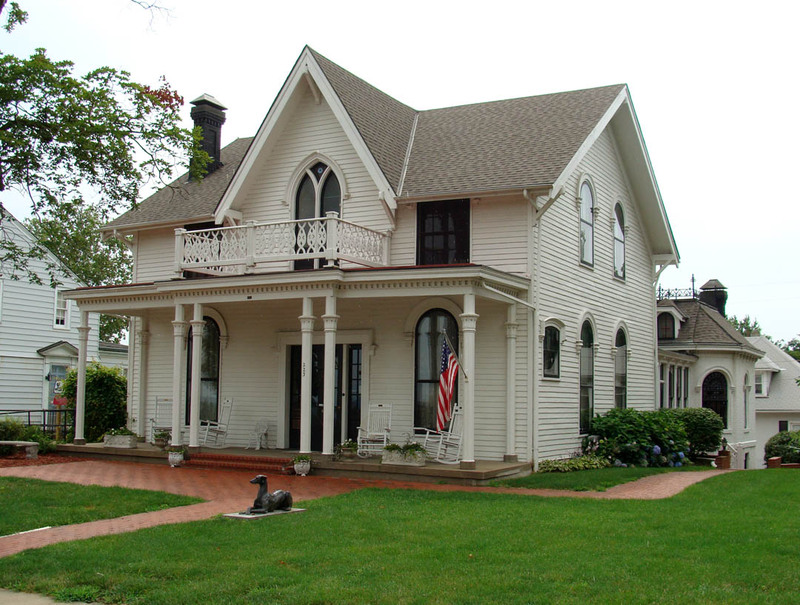 It’s the oldest active Army Post west of the Mississippi. 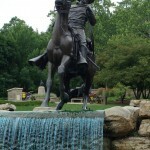 Our main interest was to see the Monument to the 9th and 10th CavalryRegiment, The Buffalo Soldiers. We rode up to the gate. They were checking cars and trucks, looking inside and using mirrors to check the undersides. The woman guard came to us and said, “You’re pretty loaded up. Maybe I should check your vehicles, too?” She laughed and said, “You have to ride on the sidewalks.” Then she gave us direction to the monument. It’s a huge and wonderful memorial to some good soldiers. It was dedicated by another good soldier, Retired General, Chair of the Joint Chiefs and Secretary of State, Colin Powell. 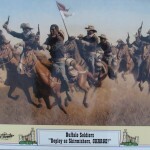 The 9th and 10th Cavalry Regiment remained made up of all black soldiers until President Harry Truman gave the order to integrate the Armed Foces in 1952. First stop, Mr. Goodcents Subs. We spotted it just off the road. They have great sandwiches. We met and had a good chat with Franchise Owner, Dave. He, like us, has been in his own business for himself most of his life. He’s been here for 4 years and is struggling. We know that feeling. The next stop, the Chamber of Commerce/Visitor Center. The staff was excited to hear of our journey. They gave us lots of ideas for places to see and things to do. There are info boards with recorded messages scattered all over town. 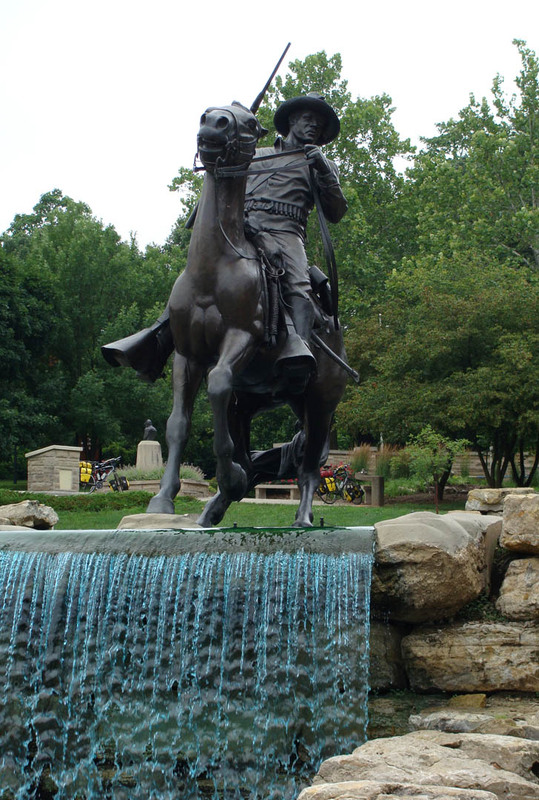 They memorialize the time spent here by the likes of Buffalo Bill and other famous plainsmen. 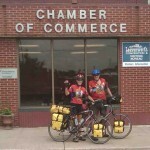 Chris who works as City Planner and is a cyclist stopped us and took our picture. Later, Connie from the C of C called and asked if we’d do an interview with the local news paper. 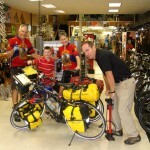 We were headed to the bike shop so the reporter, Tim, met us there. They e-mailed a copy of the article for us to post. 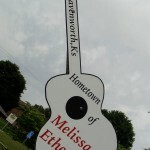 Thanks to all of our new friends in Leavenworth. Cat and Pat Patterson ride on Fifth Street on their way out of Leavenworth Thursday. 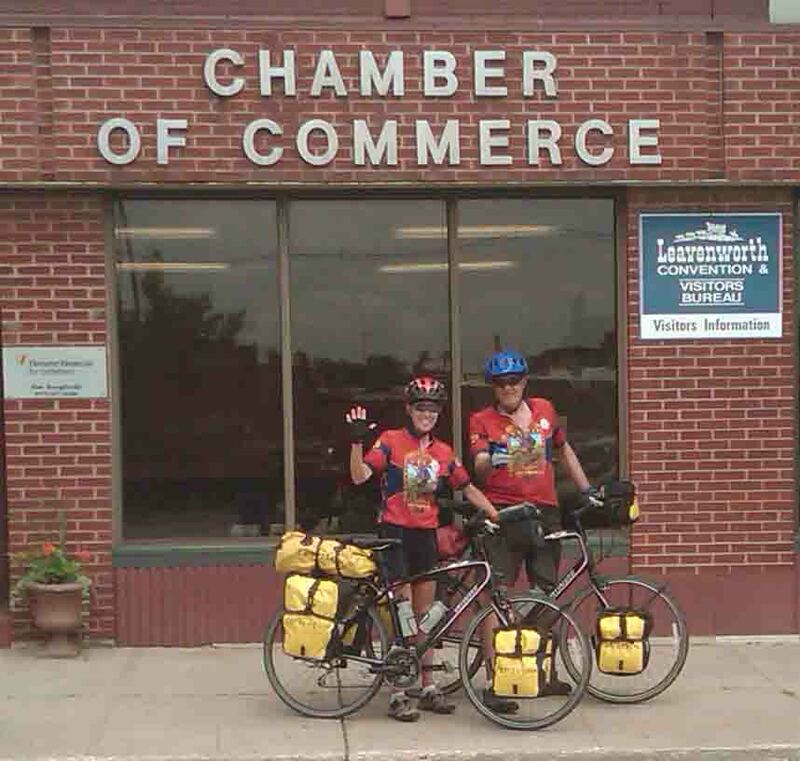 The couple are in the midst of a bicycle trip from Dallas, Texas, to Iowa. 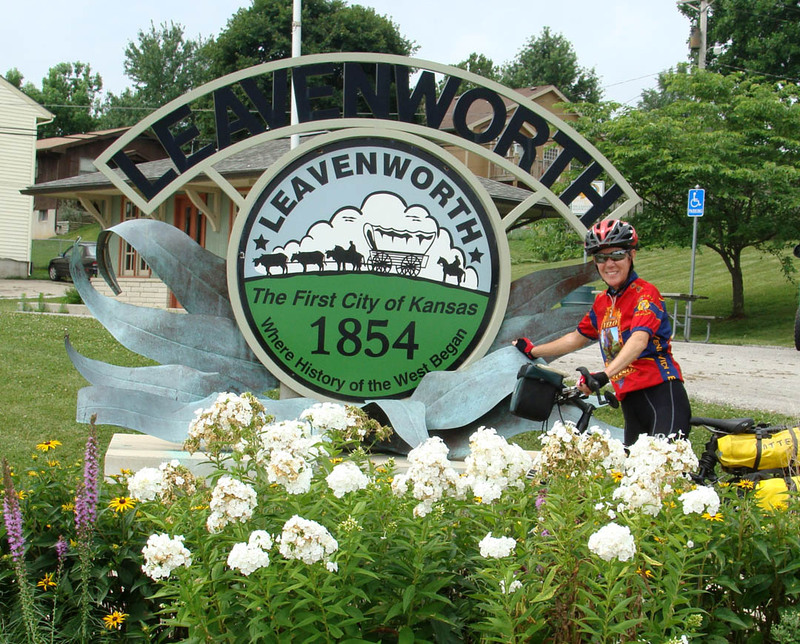 The Fourth of July weekend has come and gone, but that didn’t stop Catherine and Pat Patterson from stopping in Leavenworth as part of a long road trip. 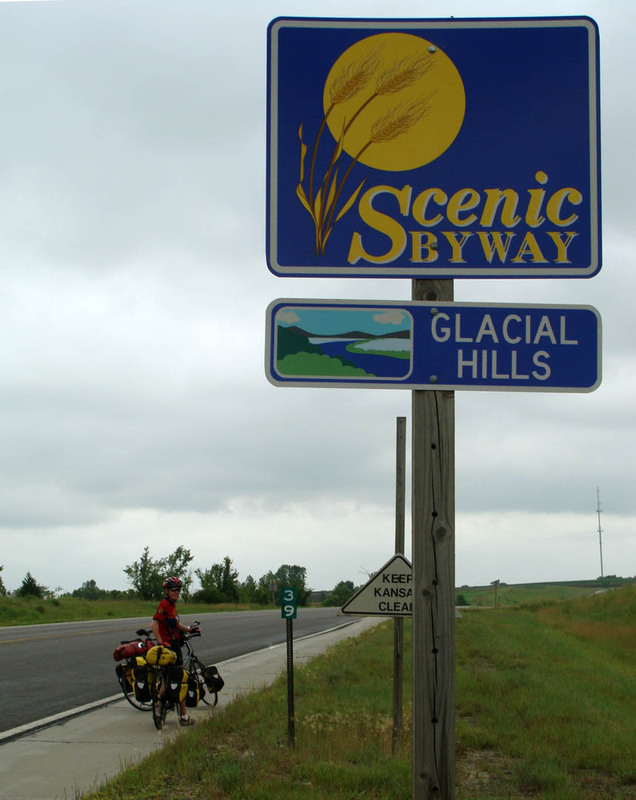 The California couple stopped in the city — on their bicycles — on Thursday before riding to Atchison, Kan. From there, they were going to proceed north to Iowa in time for the Register’s Annual Great Bicycle Ride Across Iowa that starts on July 25. They were getting a quick break and refilling their tires at Santa Fe Trails Bicycle Shop before moving on, each bike covered in rain-proof saddle bags containing not a lot, aside from the most crucial supplies. “Some of our relatives call us minimalists,” Pat said, smiling. 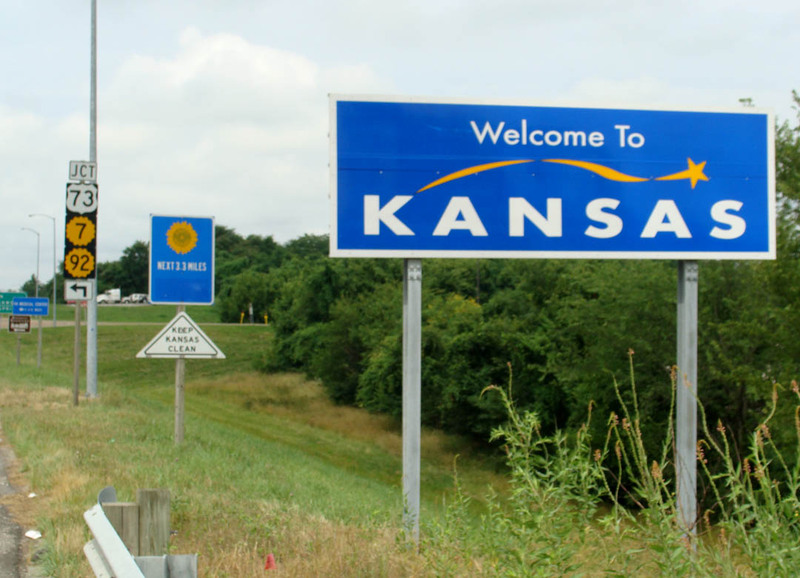 The couple have been traveling through smaller towns in the region from their starting point in Dallas, Texas, on their way. Pat, 70, said they always look forward to visiting those places in their journeys, and not always heading for the larger tourist destinations. That can lead to some interesting encounters. 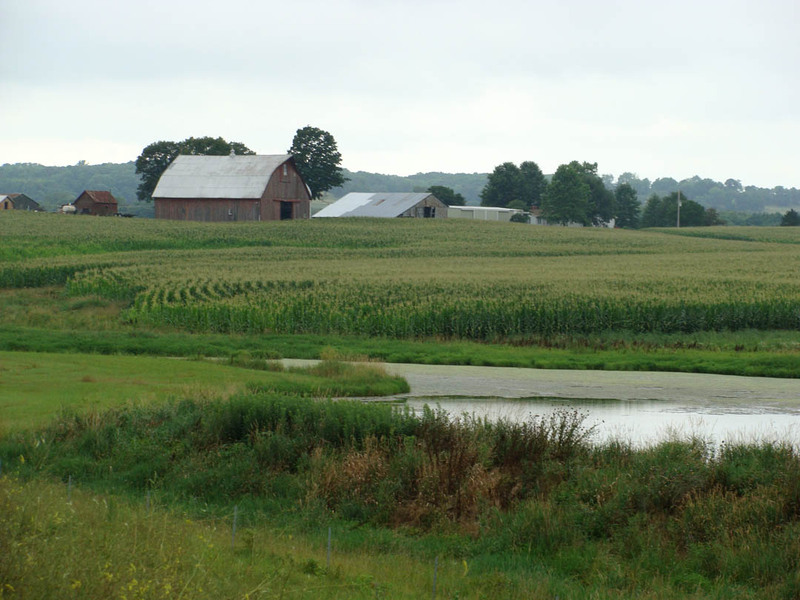 Pat said he received directions to a cemetery thought to contain the grave of a grandfather on his mother’s side at a truck stop from someone who turned out to be a long-lost cousin. “Our journey is full of little weird things that happen,” Pat said. And according to Cat, distant relatives are not the only people they have met during their ride. “We just love traveling this way because it’s so interesting and different and you stop in small places like this and meet the local people,” she said. 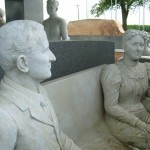 Pat said the couple followed Leavenworth’s wayside tour, stopping in the kiosks with historical information scattered throughout downtown and other areas. They also planned to see Fort Leavenworth and the United States Penitentiary. 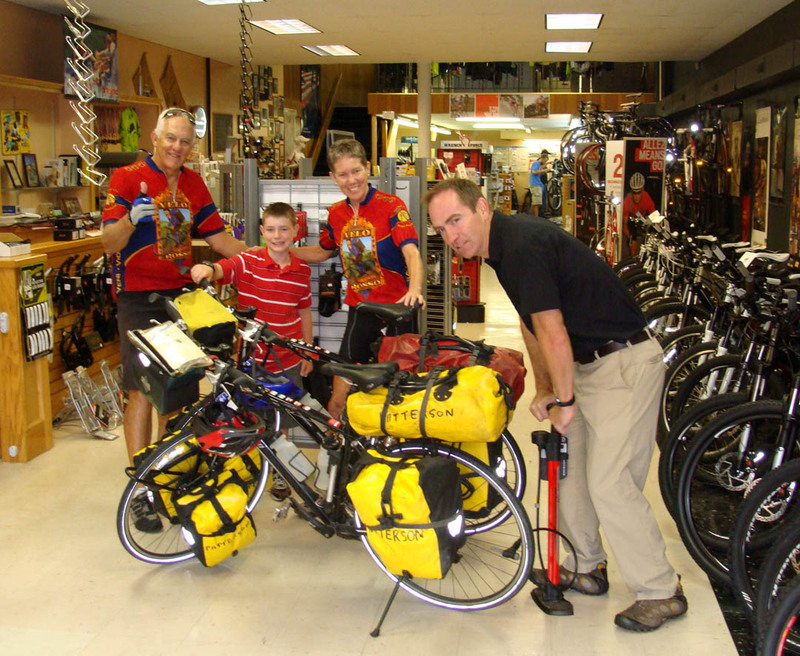 It’s not their first long-range bicycle trip — Pat said his journeys began with a worldwide ride beginning in 1988 that lasted nearly four years. That was after he sold his real estate company for the first time and purchased new bikes. At the time they met soon after that ride, both Cat and Pat found themselves facing a troubled economy and impending divorces. Pat then worked up another real estate business before selling again in 2002 and the couple planned their first trip together. It was originally supposed to be a ride through Africa, but Cat said it soon was expanded into a full-fledged world tour. Since then, they’ve also traveled across Southeast Asia. Pat said he’s been to 101 countries in all — Cat’s record is getting hefty as well. She said they try to promote health, exercise and travel along their way, as well as try to dispel myths about certain destinations. Cat said they rarely do a lot of planning for their trips outside of the establishment of a general route, but as they have ridden across the globe, from Argentina to Greenland, they have come up with some other advice for fellow travelers. “Keep your minds and your hearts open,” Cat said. 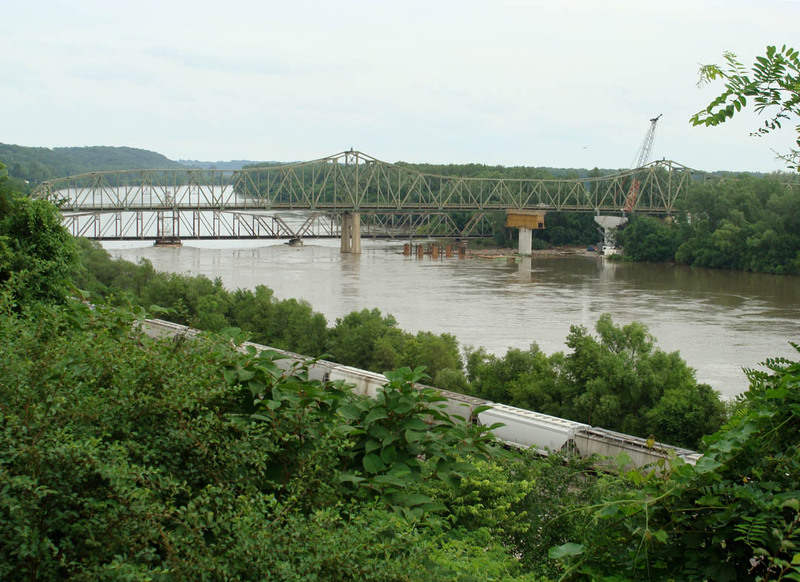 Over the years, she said they have ridden through what some friends and members of their family have warned are dangerous places. But the biggest concerns they have when they go on their globe-trotting rides are not crime-related. Instead, Cat said traffic and road conditions are high on that list, along with the weather. That said, Pat said he is still working to convince Cat to go on the next trip — to the Middle East. 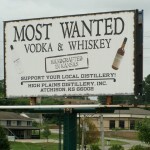 Entering Kansas we were surprised to see a billboard touting local booze. 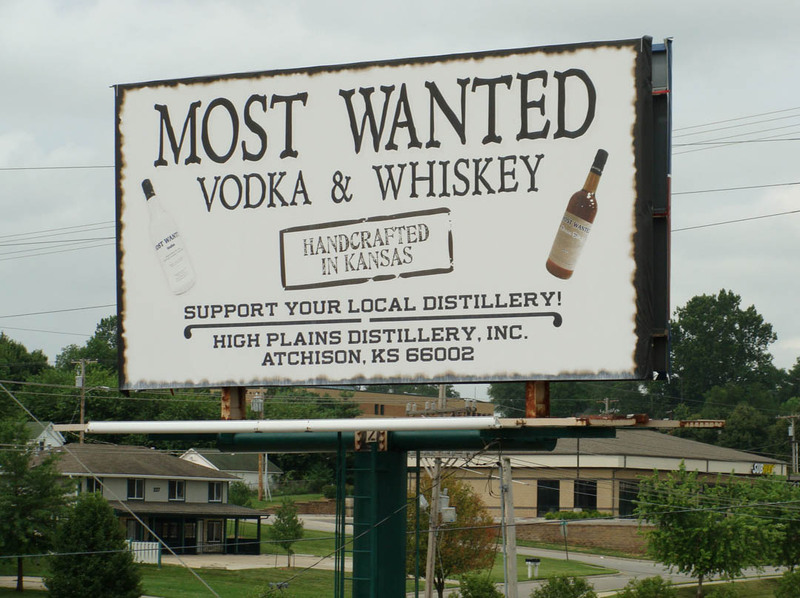 Kansas has some of the most strict liquor laws we’ve seen since Oklahoma. 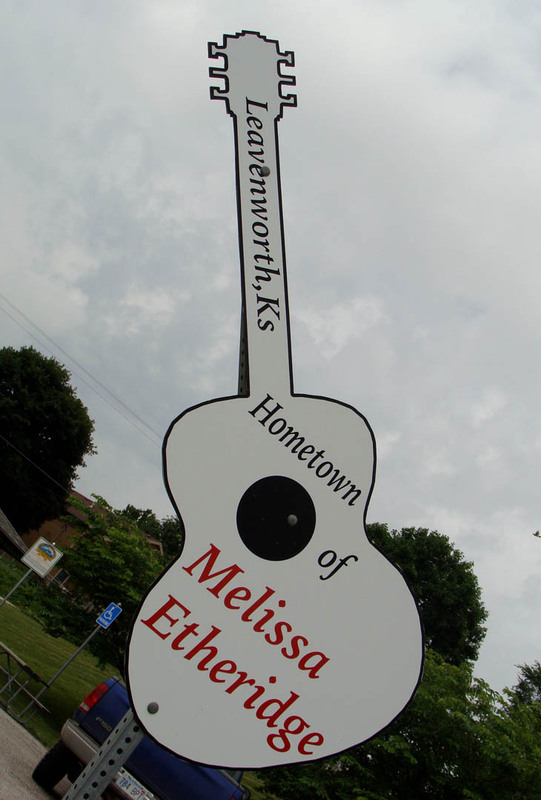 Entering Leavenworth we were surprised to see that Mellissa Etheridge was born and raised here.